Had the biggest craving for sushi last week. It felt like I was thirsty for wasabi! 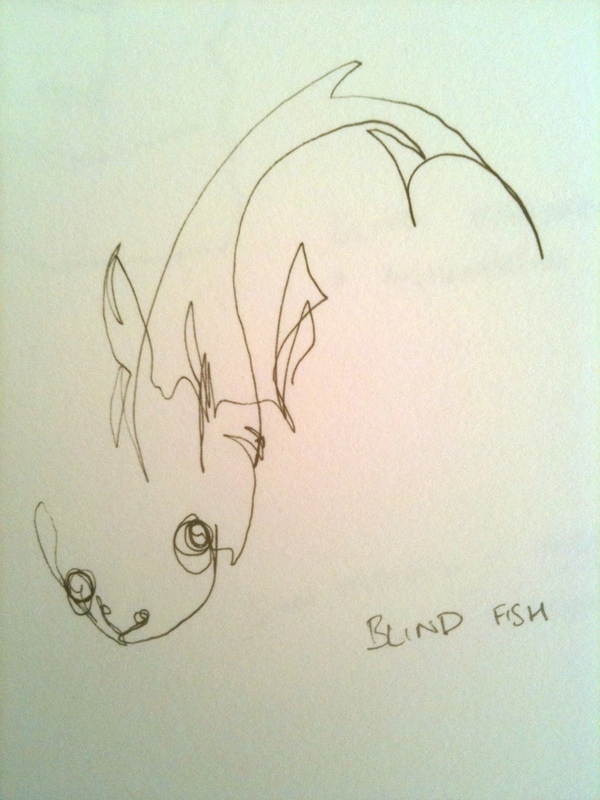 I tried to tide my self over by drawing fish blindfolded: it didn’t work. Blind drawing that I later coloured. 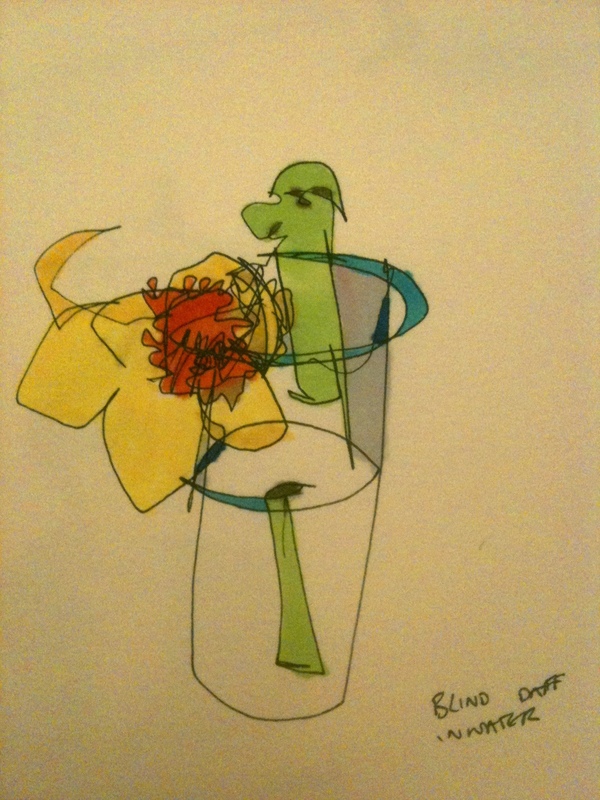 My boyfriend got dandelions and daffodils confused and created daffodil-lions. It’s nice to be bought flowers, even if he doesn’t know what they are! 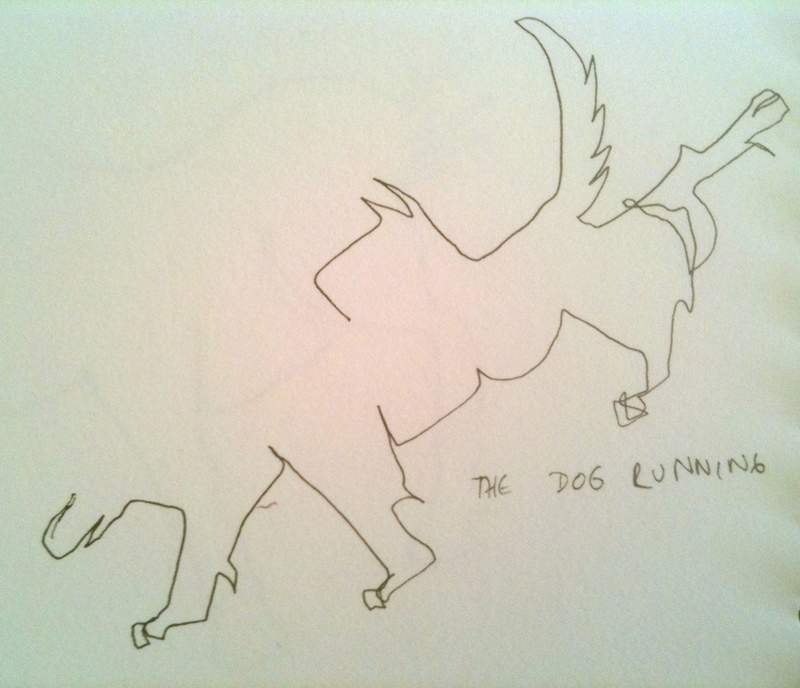 Blind drawing. 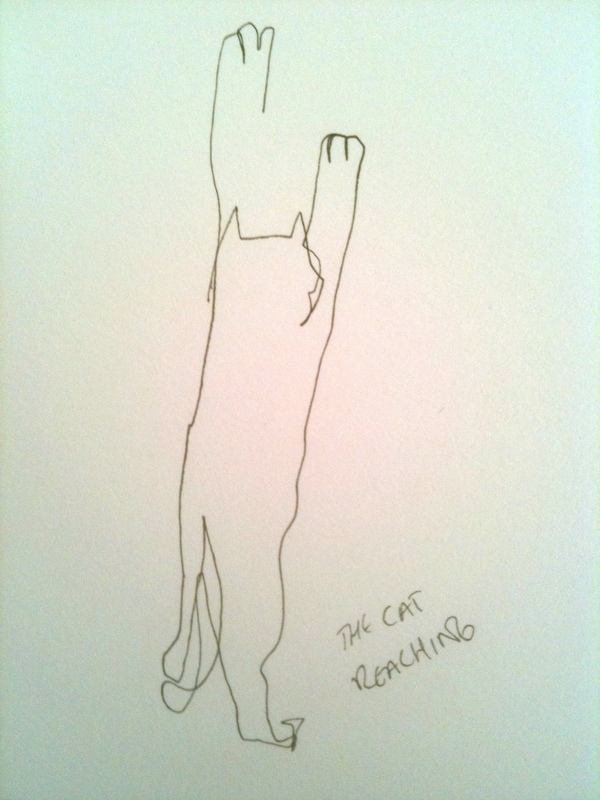 A cat reaching. My cat does this up the counter when you’re putting out his food! 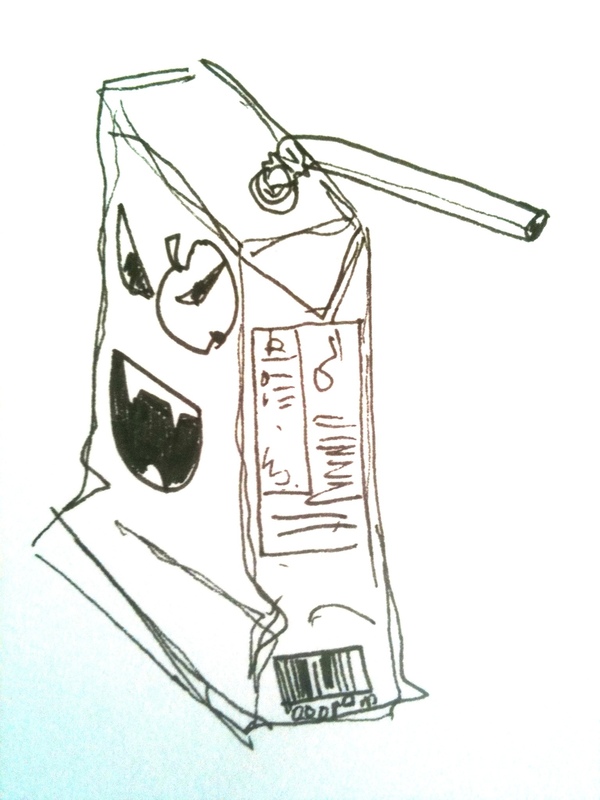 I always feel bad sucking the last bit out of a drinks carton. Like I’ve been a Ribena vampire. What if it fought back? There are alot of mean looking dogs where I live. 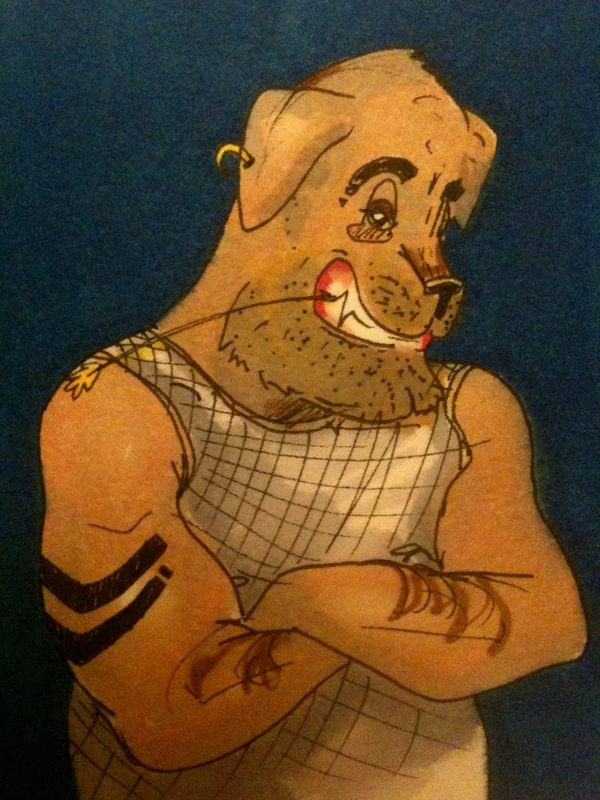 I set myself the task of drawing a mean looking dog, but I bet this guy is a softy really. 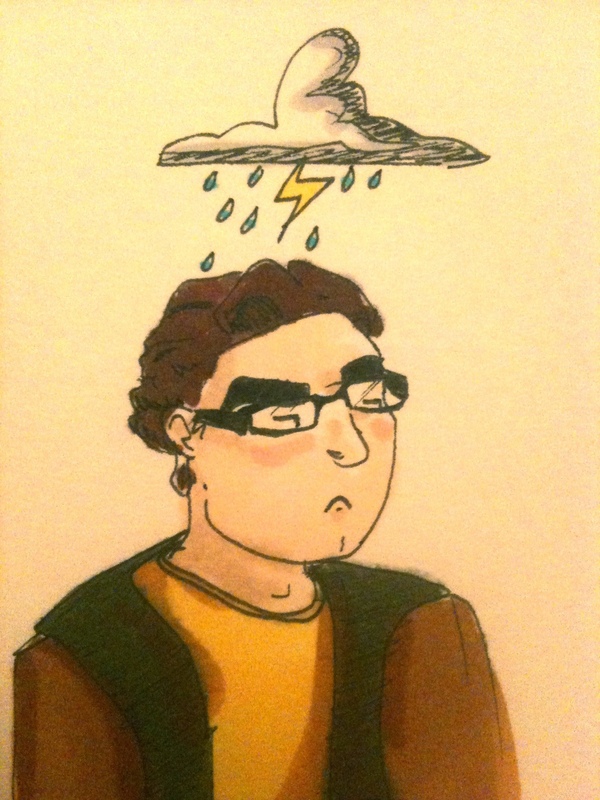 Leonard from The Big Bang Theory, I love that show! 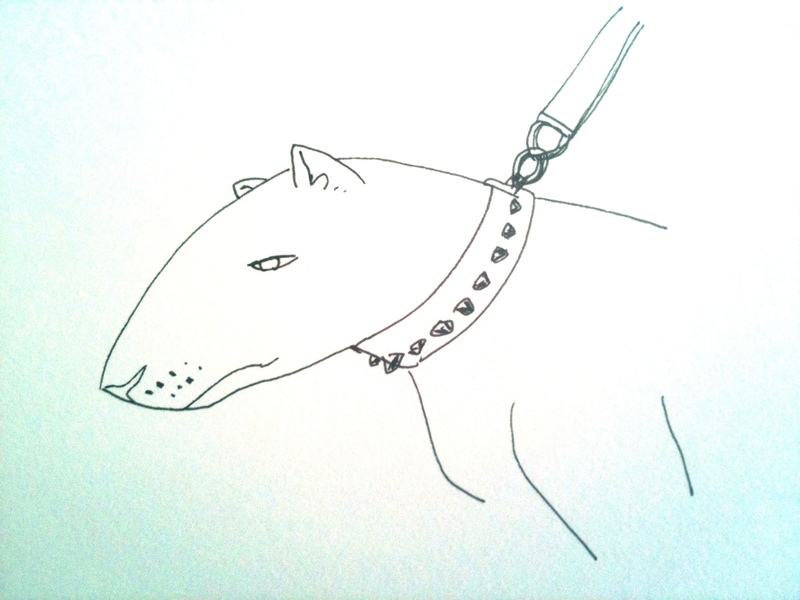 I love Bull Terriers, they have such expressive faces. Blind drawing. Looks like this dogs bottom half ran off from his top half! 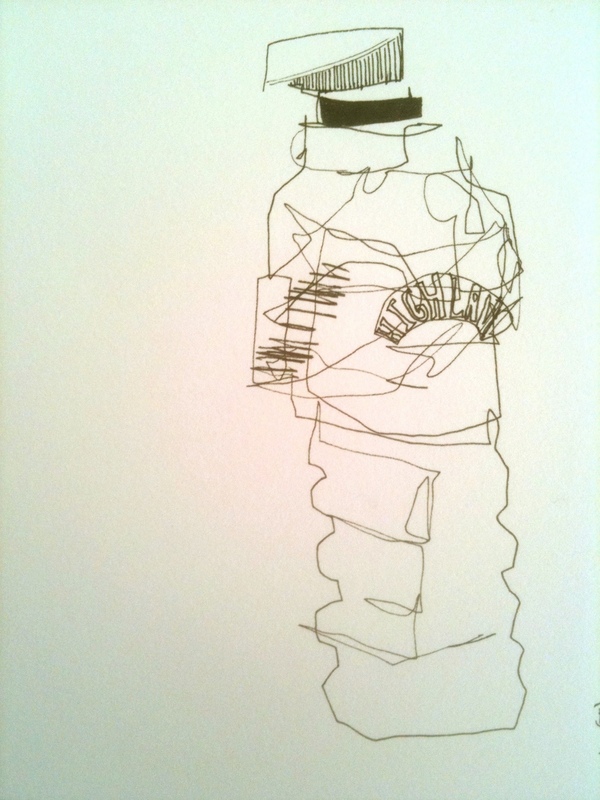 Blind drawing of a water bottle that I worked back into while looking. Easy recipe for an interesting drawing! When ever I buy snack food I eat it all in the first few days. 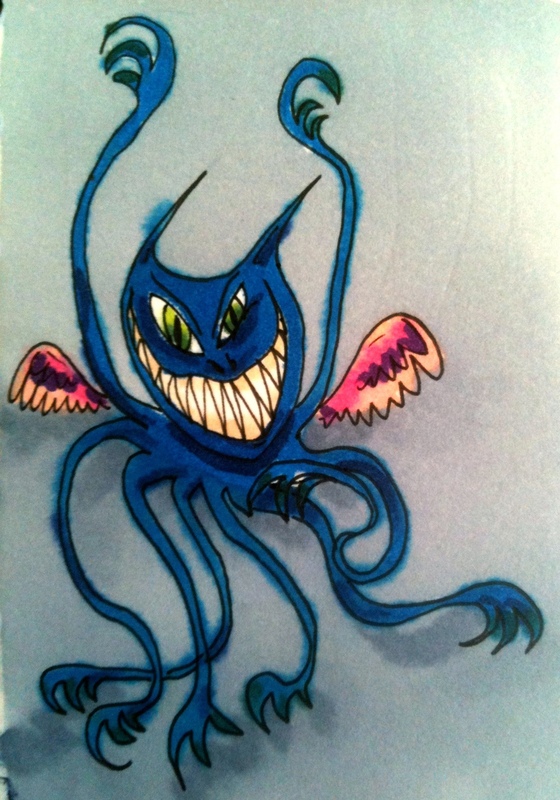 So I’ve created this guy; a snack eating scapegoat… Who ate all the crisps? Snack monster!